Ticket Printing, Spitter Stock, Reserved seat tickets, roll tickets, season ticket printing and mailing. AirDDTM, inventors of dancing inflatables, offers several different Dynamic InflatableTM characters as well as our Airtubes, static colorful tubes of endless lengths. We have a large showroom or items available for rent and some items for sale. High end Antiques furniture chandeliers and art. Inexpensive, multi-user box office software for theatres and sports arenas. We are a special events lighting design, rental/sales, and production company. Specializing in flameproofing theatrical curtains, draperies and fabrics. We also offer a full line of fire retardants. Commercial music and sound design house that offers composers and a custom library. Since 1902, Holzmueller has provided total support in planning, design, production, and follow-through. Our unparalleled commitment to successful execution of events has brought us some of the most high profile events in the San Francisco Bay Area. From corporate theatre to tradeshows, fashion shows to industrials, Holzmueller has the talent and the inventory to put your event in its best light. Our rental department features a wide selection of lighting equipment along with expendables. You can put your mind at rest knowing that we will take care of every detail of your production. Making your own props and backdrops is fast, fun, and easy with the Hot Wire Foam Factory tools. Once you carve your EPS foam prop or backdrop you can protect and beautify them using our easy to apply foam coating system. Our tools were used to remodel the Haunted House at Disneyland in Anaheim, and are used by studios, theaters, and theme park designers across the country. Visit our website for fun and informative articles, pictures, projects, tips and tricks, artist profiles, classes, and more! Established in 1991. Since 1948 House of Props has worked with set decorators and motion picture industry professionals worldwide. House of Props, Inc. has art deco Demetre Chiparus sculptures, knights in shining armor, breathtaking and extravagant sterling, crystal, ornate porcelain, and regal signed bronzes to ephemeral alabaster and marble sculptures. Design professionals come to House of Props to rent extraordinarily unique treasures - the same as those you might covet after viewing them at museums, galleries and castles. Placing object d' arte such as these on a set, a photo shoot, or a staged environment transforms time and space. It elevates perception and experience to create another moment - another world. 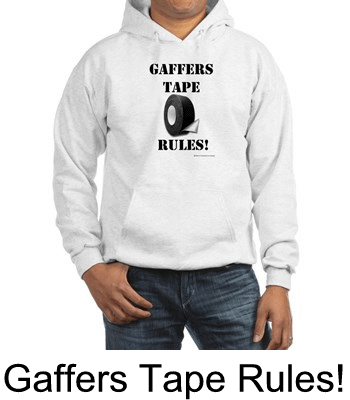 All types of pressure sensitive tapes including gaffers, spike & glow. Standard and custom colors and sizes. Free shipping. Specializing in installation, repair and maintenance of lighting and control equipment, we are an authorized service center for Electronic Theater Controls and Strand Lighting. Planning, design, and equipment services consulting for live performance facilities. Join EI hollywood makeup school of Professional makeup, They have international makeup artists teaching standard industry level of makeup artist courses. EI - Schools of professional make up artist courses provides exceptional training programs. Our three basic makeup artist programs includes make up artist studio, makeup artistry courses and special effects. ei also offers master classes in one-on-one training, continuing education classes, and master courses. Manufacturer of Bates, Group 5 and CL Series cam wiring devices. Manufacturer of mascot characters that are uniquely designed, sculpted, manufactured and hand-painted by our team of skilled artisans. Seen in numerous TV shows and movies, Mask U.S. mascot costumes are ideal for use as school or company mascots. And all our mascots are Made in the USA! Manufacturers of high quality audio equipment. Mic preamps, channel strips, EQs and compressors. Wireless listening systems for hearing assistance, audio description, and ADA compliance. For the past 30 years, SRT has been training theatre artists, actors and technicians, in full rotating repertory. Typically 6 full scale shows are produced in two separate theaters within 11 weeks. New innovative hardware designs for Theatre, Film and Special Effects. Rigging and scenery construction products that make it safer, stronger, faster. Designers, Manufacturers, and Installers of Theatrical Hardware and Draperies. The National Theatre Conservatory is a three-year graduate acting school that operates in a 10 theatre complex. Its 24 students perform alongside a Tony-winning ensemble in a 10 play season. With a 3:1 student/teacher ratio and guests including Edward Albee, Sir Peter Hall and Bill Pullman, students earn an MFA and Equity membership. Each April, the graduating students perform two fully-produced plays for public audiences known as the NTC Rep. Manufactures all types of theatrical fabric including Duvetyne, Commando, and Muslin with flame-retardant coatings. Also costuming fabrics and a full line of certified organic fabric. Can create fabric to specifications and offers custom dyeing and printing. Innovative Products for the Entertainment Industry. Theatre Projects creates extraordinary performance spaces. With more than 1,200 projects in over 70 countries, our work ranges from studio theatres to performing arts centers. With that kind of experience, we're ready to help you with any project you can imagine. X-Streamers.com Provides Streamers, Confetti And Confetti Launchers, As Well As Producing These Special Effects - Custom Orders Welcome! Special Effect Consultation Available On Request. Ticketing software, sales and services for small to medium size venues. Developers of PickTix reserved seating technology and bar-coded print-your-own tickets. Use our software in your box office and sell tickets online with no inventory worries! Florida Wire & Rigging Supply services the theme park industries and theater & stage rigging needs. InterAmerica Stage, Inc., an international specialty company, provides Consulting, Project Management, Design, Fabrication, Installation, and Maintenance services for the broadcast and entertainment industries. Providing complete indoor pyrotechnic services customized for your production. Theatrical systems installer, drapes, lighting, sound and automation. Retail supplies of all theatrical equipment. Mount This Fish Company offers fish taxidermy also known as fish mounts, fish replicas and fish reproductions. We offer full mounts, half sided mounts and fish mounts that are viewable from all sides. Our experienced staff is here to help you with the perfect prop for your production. Best of all, we can produce on those tight timelines you are accustomed to. Manufacturer & Importer of Masks, Suits of Armor, Costumes, and Costume Accessories. Whether you need a backdrop for a party, prom, reunion, theatre production, dance recital or concert, Backdrops Fantastic has you covered! With over a 1,000 hand painted theme backdrops in stock, you can take your event anywhere you choose. You can create the perfect setting when you start with one of our fantastic backdrops. Over the years we have designed and produced hundreds of high quality hand-painted backdrops for clients across the world. We are available to quote on design and production of any backdrop for your specific requirements. We have an excellent design team who can bring your idea for a backdrop to life. Balance Power Products - Increase in signal-to-noise ratio elimination of ground loops and hum. Georgia Stage, Inc. manufactures stage curtains for a variety of customers from the smallest schools, churches, and television studios up to the largest performing arts centers, colleges and sports arenas. GSI also provides many different types of curtains and materials for corporate productions and trade shows. RSL Theatrical is a scenic studio, providing scenic design, scenery rental, lighting design as well as rental and support for lighting packages. We Provide Theatrical Equipment and Services in many of Hawaii's Theaters, exposition and Convention Halls. We also sell Theatrical Supplies. Theatrix Hawaii provides Staging Solutions, Lighting Design, Audio Support, Projection and Switching equipment. Theatrix Hawaii has Event Coordinators, Technical Directors, Lighting Designers, Audio Engineers and Stage hands on staff. We are a licensed General and Rigging Contractor with the State of Hawaii. We supply services to the public, military, local and state government of Hawaii. Theatrix Hawaii is a Consultant on the new Malama learning Center in Kapolei. Theatrix Hawaii has installed and refurbished theatrical systems in Churches, Schools and Theaters. We provide Technicians for Events at The Hawaii Theater, Paliku Theater and Mid Pac Theater just to name a few. Offering Theatre/Dance Major, Minor, Teaching Major, and Management Program. CYT warehouse in Cary has 15,000 sq ft of costumes, scenery and specialty props for rent. Shows include Music Man, Wizard of Oz, Beauty and the Beast, Seussical, all of the fairy tales, Grease, Willy Wonka, Honk, Les Miserables and more. We also have a large supply of technical equipment lapel mics, complete sound systems, snow machines, spotlights, strobes, black lights for rent at below typical commercial rates. Costumes typically rent from $25-40 each depending on quantity and scenery is available for whole shows or piece by piece. Backdrops are available for select shows. To set up an appointment or for inquiries email jparks@cytchicago.org or visit www.cytchicago.org- click ABOUT US and then RENTALS. Affordable theatre management solution - contains all of the features you need including Box Office/Ticketing, Grant Tracking, Fundraising, Events and Auctions, Memberships, Volunteer Management, Online Sales, Class and Camp Registration, Residencies, School Bookings, Blast E-Mails, Form Letters, and much more. Perfect for adult and children's theatres, performing arts centers, film festivals, college and school theatre departments, symphonies and chamber music groups, dance and opera companies. Easy-Ware's Total Info software is the most full-featured solution available and also the best value. Why pay more for less? If you are looking for a new database system, take a look at Easy-Ware. You, your staff and your budget will be glad you did. Easy-Ware Corporation (Founded in 2001) Chicago, IL. Specializing in custom design and fabrication work for theatrical, public, private, and commercial spaces, Kinc has made its mark by delivering standout pieces that anchor and exemplify a theme, space, or complete vision. Combining exceptional service with a deep understanding of the particular needs of each industry we serve, Kinc merges practicality with theatricality, delivering award-winning solutions that dazzle the eye, engage the mind, and lift the spirit. INDULGE YOUR INNER KINC. Theatre consulting services from conception to systems turn-on for professional, civic, community, and academic facilities. Reed's Engineering Division provides services to major producers of stage rigging equipment, New York & Las Vegas productions and, entertainment companies providing show services worldwide. Manufacturers of projection screens and ceiling-recessed lifts and mounts for video projectors. In a liberal arts setting, the Theatre Division at Purdue University educates students to acquire the discipline, analytical skills, and aesthetic judgment necessary for collaboration with others as productive citizens and artists. Tyler Truss Systems, Inc. designs and manufactures custom and standard aluminum truss systems for corporate, entertainment, concert tour, architectural, and specialty applications. Tyler's mission is to develop solutions to improve productions, create greater value, improve profitability, and assist in "Green" productions. Truss is literally the backbone of the event, meeting, and entertainment staging and production industry. At Tyler Truss the focus is on superior customer service and on-time turnaround in the delivery of truly world-class products. That focus will never change. MA in Theatre, MFA with major in Theatre Arts - Performance, and MFA with major in Theatre Arts - Production. Minors in African-American Theatre, Theatre Arts, and Cultural Performances. ZFX is a provider of flying effects for screen and stage, collaborating with clients for over a dozen years to create safe and awe-inspiring flying effects for audiences around the globe. Broadway credits include Wicked, Fiddler on the Roof, Martin Short on Broadway, Dance of the Vampires, Seussical the Musical and Saturday Night Fever, to name a few. In addition, ZFX offers professional flying equipment, set and prop services for the following productions: Peter Pan, Beauty and the Beast, The Wizard of Oz, Shrek, Phantom of the Opera, Tarzan, Mary Poppins, Charlie and the Chocolate Factory and more. Famed for their creativity and choreography, ZFX is also a technical powerhouse designing and manufacturing all of their own equipment, harnesses and software in-house. Their user-friendly rigging and technical solutions, combined with exceptional artistic insight, provide an unparalleled service. With a reputation for enthusiasm, teamwork and artistic integrity, ZFX sets the industry standard for flying effects. Awe-inspiring flying effects for all types of productions from theatre to concerts to corporate events. Offering Degrees in Theatre, Theatre/Communications, and Theatre Arts with a minor in Business Administration. "The Performers are Yours, but the Backdrops are Ours!" Backdrops by Charles H Stewart has been your leading edge scenic design and backdrop rental company for over 120 years--yes, since 1893! Come to us with your theatrical, dance performance, or event needs to enhance any production with well over 1,500 backdrops, curtains and scrims to choose from. Browse our extensive online catalogue to view our continually expanding inventory. Call or email us with any questions you may have including backdrop availability, ordering procedure or pricing. We offer you reliable service at competitive prices. Our professional backdrops are lightweight, easy to hang and can be shipped direct to your door! We've Got Your Backdrop! Beauty, Brains and the Colors you want from the Pioneer of Full Spectrum Digital Lighting - We're leading lighting into the digital age - 16.7 million colors at a time! Stage Rigging and Custom Fabrication of Stage Draperies since 1953. Cinemas a Specialty. Suspenders & Leather End, Button On Braces for children and adults. Bow ties for Toddlers, children and adults. Matching cummerbunds for children and adults. Top hats and Zoot Suit Hats. Whether you are doing costumes for a musical number or stage production, we offer great prices, a good selection and inexpensive shipping. Call or email with and questions. We can help you with your costume accessory needs for all ages. The Department of Theatre at Williams College works to develop in each student an understanding of theatre that is both deep and broad. Here, in our classrooms and on our stages, we examine traditional forms and explore new forms in the context of dramatic theory, history, and literature. Photography Backdrops and Film Background Rentals. Custom hand painted muslin and canvas murals for sale, or for daily rental. Theater and stage scenic background rental. MD, VA, Washington DC. Photography, Film, Video, Stage and Party Event Backdrop rental. The nation's only graduate repertory company, with a mission to present classic plays in a repertory system. Box Office Ticketing and Point of Sale Systems for Windows and the Web. Prop and Scenery Lights, LLC helps create innovative lighted props, scenery, signs and displays by supplying a variety of specialty lighting products. Our products range from unique LED effects lights to cable and controls for low voltage and battery operated systems. We support a variety of customers from film studios to amateur enthusiasts. Visit our website for a continuing stream of new and unique lighting sources, accessories, and materials. Portable staging and seating risers. Tobins Lake Studios provides affordable theatrical backdrop and drapery rentals along with Easy Armor and Easy Ornament vacuum formed plastic props. Stage Lighting, Controls, Lamps, Paint, Costume Rentals, Accessories, Makeup, Hairgoods, Catalog Available. Specializing in all types of hair extensions, costume wigs and fantasy hairpieces. From Renaissance, SCA, Steampunk, Goth, Punk, Emo, Scene, Cosplay, and Belly dancing... I have your hair here! Look beautiful for your unique wedding or try a little fun for your fantasy costume! Staging Concepts is the industry leader in portable staging equipment. Since 1990, we've provided superior staging product solutions for facilities and venues with custom needs. Our company and team of devoted engineers strive to ensure that we produce the most superior and advanced modular, lightweight custom staging systems in the industry. Wenger Corporation provides innovative, high-quality products and solutions for music and theatre education, performing arts and athletic equipment storage and transport. We have spent more than 60 years listening to what our customers need and then designing and developing durable, functional products to meet those needs. Wenger pioneered sound isolation in practice rooms offering module rooms with virtual acoustic technology (VAE) now with built-in digital recording and playback. Products for music and theatre spaces include; pre-engineered acoustical doors and sound-isolating music practice rooms, acoustical wall and ceiling treatment, instrument and music storage cabinets, acoustic shells, audience seating, portable stage platforms and staging systems, music posture and portable audience chairs, orchestra pit fillers, make-up stations, tiered risers and music furniture. A private Catholic College offering Bachelor of Arts in Acting/Directing and Design/Technology. Whenever you need truly reliable audio and video equipment for any production, Audio & Light is the one best stop for the right gear. Our experts can help you plan and arrange exactly what's needed ... from sound systems of all sizes and wireless microphones, to spotlights, screens, projectors and more ... and assure it's available exactly when you need it. And you can either pick up your equipment or have it delivered and set up, with as much expert support as you require. We have experts in theatrical production as well as lighting and sound equipment to fill any size stage or arena. Offering stage-floor microphones for theater sound reinforcement. The designer of the industry-standard PCC-160 developed the next-generation models called the Stage Floor Mic and Stage Floor Mic-C. These supercardioid boundary mics are designed for use on the theater stage to pick up actors in drama or musicals, and percussive dance. Made in USA, 3-year warranty, excellent tech support. Get a quote or place your order with the owner, Lori. Wholesale LED Lights, Par Cans, GE, Philips, Osram, LTI, Ushio, Rosco, Lee, ETC Source 4, Fog machines, strobes, special effects, etc. We will beat "ALL" legitimate competitor prices! We now ship from New York, the midwest and southern California locations. We offer a variety of quality products and professional services including scenic and lighting design, event managing and consulting. Drape Kings is a New York Metro based company that provides pipe and drape for events to Decor Managers, Event Designers, Venue Planners, Corporations, and Non-Profit Organizations. Since 1996, Drape Kings has consistently delivered the highest quality pipe and drape solutions for rent and sale to complement all types of events, both large and small. Selected events include President Obama's Democratic Fund Raiser at the St. Regis Hotel, Nike's unveiling of the USA World Cup 2010 Uniforms, and The Robin Hood Foundation Ball at the Javitz Center. Drape Kings is a privately held company with offices in New York, NY and Washington, DC. For more information on Drape Kings, please call 888.DRAPE.ME or visit www.drapekings.com. We maintain and service the equipment long after the project has been completed. Our fully stocked warehouse offers accessories and consumable items required to run a theatrical or entertainment facility on a daily basis with such items as lamps, gel, tape and batteries. We also provide industry professionals who can design, implement and run shows from one night to extended runs. A full service stage drapery and rigging company for Theatres, Performing Art Centers, Television Studios, Colleges, Houses of Worship, Schools, Trade Shows, Corporate Events, and Concerts. Our Scope of work includes custom sewing, stage drapery, theatrical fabrics, theatre track and rigging. Our services include design, custom sewing/fabrications, installation, service, and safety inspections. We feature the highest quality stage drapery, stage drapes, theater curtains, theatrical draperies, stage curtains, stage draperies, theatrical drapes, theatrical curtains, theatrical draperies, theatre drapes, theatre draperies, theater drapes, theater curtains, and theater draperies. Puppet Heap is an internationally recognized puppet shop and character design studio whose work has appeared in such Broadway productions as Mary Poppins, The Little Mermaid and Lestat. Our work can also be seen in Silver Dollar City and Disney's theme parks. We specialize in bringing innovative, iconic characters to life for the theater as well as film, television, print and the web. Please contact us to discuss how we can put our imaginations to work for your next production. HOLOCUREN supplies over 30 tools and equipment pieces for cutting foam props and sets. We make armor and weapons for movies, theatre and collectors. We rent and sell. AchesonWalsh Studios is a production design studio providing design, fabrication, direction and performance services. Founded by Matt Acheson and Fergus J Walsh, AchesonWalsh Studios produces high quality, hand-made puppets, masks, sets and specialty props. We work in all scales from miniature worlds to arena spectacles, and across all mediums including theatre, film, commercial and educational productions. A Costume Shop designed with the Theater in mind. Huge selection of beards, mustaches, sideburns and wigs, Purchase complete costumes or separate pieces. Adult, Child or Infant Costumes, Period and Historical Costumes, Animal or Food Costumes, Storybook or Fantasy Costumes, Horror or Gothic Costumes. Theatrical quality with a range of prices to fit any budget. We will beat ALL the competitions prices!... Just Call! BMI Supply is a full line theatrical supply house and on site stage contractor. National and worldwide shipments of hardware, draperies, drops, lighting, dimming, paint and more. All staff have professional backgrounds and training in the entertainment industry. Offices and warehouses at both NY & SC locations. Theatrical Wigs of Distinction - *Theatre *Film *Opera *TV - Custom Design Resource - All Productions - All Prices. Cobalt Studios rents backdrops for theatre, dance, opera, theme parties, events and weddings. Located 90 miles northwest of New York City, we rent nationwide. Our ever-growing catalog of beautiful hand painted, professional backdrop rentals can be viewed on line. We rent by the day with discounts after 7 days. Schools and churches welcome. Offering degrees in Acting, Directing, Theater Management and Production, Playwriting and Independent Film Making. Designscape/NY- Full Service Award winning Set Design and construction company for Theatrical Productions, (Theater, Opera.Dance) Film/TV and Events. We create award winning, stunning 3D environments, costumes, and props. Fred Krieger Fabrics: The Leading Theatrical Brand, supplying theater fabrics for stage curtains since 1979. Fred Krieger Fabrics specializes in theater fabrics. We are a textile converter providing a wide range of drapery fabrics primarily to the theatrical, stage, and scenery markets and for commercial window treatments. Our customers use our fabrics for installations in school and university auditoriums, classrooms, and dormitories, theaters, houses of worship, arenas, cinemas, and more. Scenic and Drop Rentals located in NY, we handle trucking anywhere in the USA, international rentals are possible. Scenic Technician provided to Load-in and Load-out full shows. Theatre Consulting Firm Providing Full Line of Services. Costumes, Sets, Scenic, and Props rentals or sales for classic Broadway productions. Affordable prices for high quality. We rent and build props. Our parent company, Avancy Inc. builds sets. Audio video and acoustical consulting and design for auditoriums and theaters. Our theatres work! From the first idea for a new or renovated theatre to the opening night gala, we collaborate with our clients to design superb spaces that meet their artistic and operational goals. We design venues of all types, from school and community theatres, to university and professional houses. Visit our web site to see the portfolio of our work. The Drama Department offers a BFA degree in Theatre. The program combines conservatory training with a strong liberal arts concentration. High performance motorized theater rigging, stage equipment and draperies since 1913. Custom cut 2D & 3D foam shapes for props, displays, signs and architecture. Discount alkaline and lithium Energizer and Duracell batteries in economical bulk packaging - 9V, AA, AAA, C, D, 123, button cell and more. Save 30-50% off retail. Same day shipping. Specializing in Mineral Cosmetics without synthetic dyes, fillers and preservatives. 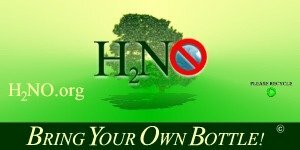 Earth Friendly Eco Products. Organic skin, hair and body care. Cream concealing foundations, Loose or Pressed Powder Cosmetics. Natural Mascara choices. Natural lipstick, lip liner and lip-gloss products. In business since 2001. Designers & fabricators of special effects, scenery, motion control, vacuform & pyrotechnics for theatre, film, television,industrial & themed enviroments. The Carnegie Mellon School of Drama is the first degree-granting institution of its kind in the country, supports a full curriculum in Design and Technical Theatre at both the undergraduate and graduate level. Training includes classroom instruction as well as practical production experience. As a conservatory program within a university, we seek to prepare students for entry into the profession. Affordable website design and website hosting since 1999. 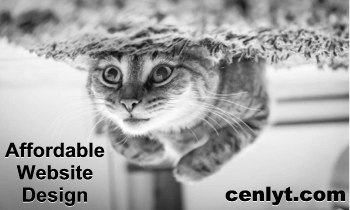 CENLYT Productions-ms designs is owned and operaterted by a theatrical scenic and lighting designer who understands your needs, taking years of theatrical design and applying it to the internet. Experienced in Responsive Web Design and E-Commerce Websites. Special discounts for theaters and non-profits. CENLYT PRODUCTIONS - Creators and parent company of Theater Services Guide. Affordable website design and website hosting since 1999. CENLYT Productions-ms designs is owned and operaterted by a theatrical scenic and lighting designer who understands your needs, taking years of theatrical design and applying it to the internet. Experienced in Responsive Web Design and E-Commerce Websites. Special discounts for theaters and non-profits.. Unique and hard to find collectibles and knick-knacks ideal for props and set decoration. Newmark Scenic Productions - established 1985. Newmark provides gorgeous soft goods scenery to the performing arts industry. With very reasonable rental rates, your organization can afford beautifully designed professional scenery to enhance your show or event. Visit our easy to use website and reserve your scenery now! Pierre's Costumes is a professional costume house renting, selling and manufacturing original costumes since 1943. 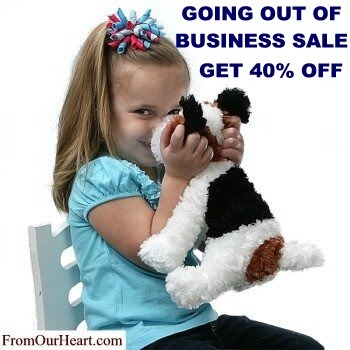 Large non-profit discounts given to schools, theatres, and churches. Over a million hand tailored garments in stock with a professional college educated staff to assist you. Resource for costumes, props, make-up, hats, hairgoods, wigs, and lots more. Huge inventory of items that are ready to ship out to customer right away. Props, novelties and unique items needed for theatre such as gavels, swords, handcuffs, crown of thorns, sceptres, skulls, jewelry, and lots of other unique items. Welcome to Sign Supply Outlet LLC- One of the most respected and secured online sign supply store since 2003. Here you will find a large selection of products from sign vinyl, digital media, laminating film, and a host of other sign supplies. The Theme Factory of Philadelphia'smission is to be the Special Event Solution provider to event planners and project managers. We make available for rental and sale, quality scenic and graphic elements for use in Private and Corporate Special Events, Museum exhibitions, Theatre, Television, Photography, Film, Trade Show displays or any venue requiring creative designing and fabrication. 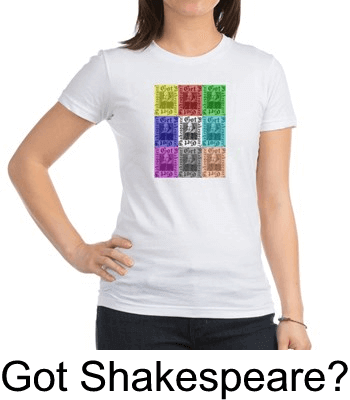 Theater Services Guide own TSG Gear - Designed by theater people for theater people. 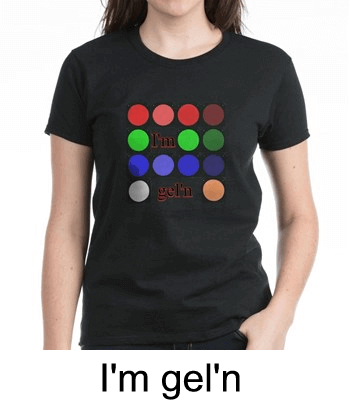 Hats, mugs, t-shirts, posters, cards, novelties and more! Visit us today! 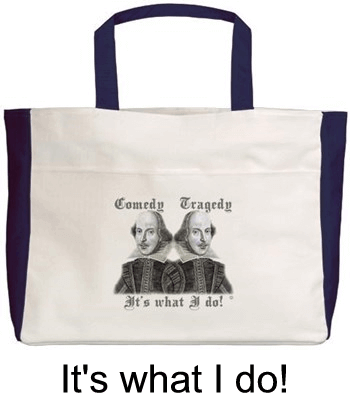 Purchases made from the TSG Gear Store helps support Theater Services Guide. Theater Services Guide own TSG Gear - Now also available through SpreadShirt.com providing even a greater variety of products. 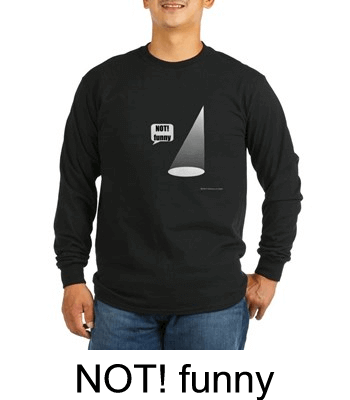 And as with the regular TSG Gear Store, these items are designed by theater people for theater people. 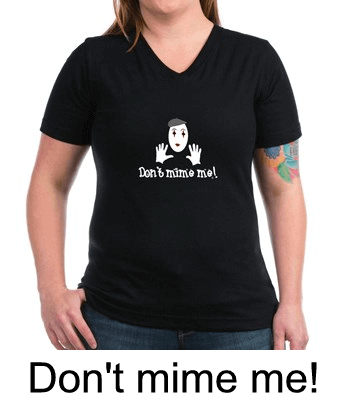 Hats, mugs, t-shirts, posters, cards, novelties and more! Visit us today! Alliance Software Corporation provides integrated box office management, fundraising, and accounting management software to performing arts facilities, museums and colleges throughout North America. 3-D Glasses for movies, TV, and video. Stock designs available for immediate shipment or customize with logos, coupons and custom lens colors. Manufacturer of exceptionally high quality stage curtains, cycloramas (cycs), scrims, drops, masking curtains, and other soft goods. When the first and last impression matters, make sure your stage draperies come from BellaTEX, Inc. Available exclusively through your local BellaTEX stage curtain dealer. Your professional BellaTEX dealer can take measurements, help you select the best fabric, and even install your new drapes. Fast delivery on standard and custom made theatrical curtains. Contact your local dealer at bellatex.com or by calling 800-372-3373. Infrared & Inductive Assistive Listening Devices Satisfying ADA Compliance. Infrared and inductive assistive listening devices satisfying ADA compliance. Offering internships in all aspects of technical theater. Set for Rodgers and Hammerstein's "Carousel" available for rental. Incorporates video and still projections within a minimal set design of multi-level platforms surrounding a small orchestra. Please visit our website for details. Wide and extra wide theatrical, display and exhibit fabrics. Flame and non-flame retardant. "Your friend in the entertainment business!" 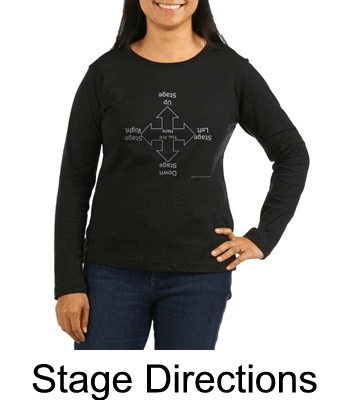 StageSpot.com is your one stop for all your theatre and stage supply needs. We carry all major brands! Altman, Lycian, High End, ETC, GE, Rosco, Lee, Procell batteries, and Pro-Gaff to list a few. Check out our great prices on lamps, fixtures, gaff tape, gel, and custom gobos all with FREE SHIPPING! At Stage Spot we are adamant about customer service. We strive to have all of our orders delivered on-time, or even early, because we know how important they are to you. We also want to make it easy for you to connect with us when you need to. We keep long hours so you can reach us by phone, and get a real person 8am - 8pm Central Monday - Friday. Our teams have taken large strides to make our website an easy source for finding, selecting, getting information, and ordering products error free, so your stage supply order is exactly what you need, when you need it. If it is used on a stage we sell it. If you can't find we will find it for you. Consultants Specializing in Performing Arts Technology and Safety. Full service consultants for all project phases from needs assessments through systems design and construction oversight. We provide designs that are closely coordinated with the needs of the facility and it's users. VirtualCallboard is a total production & theatre management solution for communicating and distributing information to all your organization staff, cast & crew. 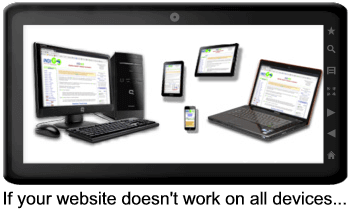 Features include Scheduling, Contact Sheets, Reports, file sharing and much more all available one place accessible 24/7. USITT members receive an additional 5% off subscription packages. Custom built wigs and facial hair for theatre, opera, dance, cosplay, costuming, historical reenactment, Santas, tribute artists and more. Manufacturers of Effects Lighting Equipment and Trilite Structural Systems. Custom clothing and costumes. On budget, and on time! Dark Star Theatrical, based in Hinesburg, Vermont, is a leading supplier and a full service dealer for quality technical theater lighting, rigging, and curtain equipment manufacturers (see Line Card for complete listing). Our friendly and knowledgeable staff is happy to assist you in selecting the best theater lighting equipment or event lighting equipment for your budget. Offering BA degrees in Theatre, Radio-Television, Film, and Education. The web's largest selection of costume wigs and accessories for all your dress-up and holiday needs, from Halloween to Christmas. Professional and Theatrical Make-up, Novelty Face Painting Make-Up, Variety of Hair Color Products. If you are looking for Stage Makeup, Wigs, Hats, or Costume Accessories, you have come to the right place. Mallatt Pharmacy & Costumes has provided Theatrical Makeup for over seventy years to theatre and school groups throughout Wisconsin. Our selection is larger than it has ever been as we now bring our products to to you on line. We offer a great selection, fair pricing as well as 10% discounts to Theatrical Groups, Schools and Church Groups. Yes, we really are a Full Service Pharmacy (or more like your old fashion corner drug store) but we also carry Theatrical Makeup, Costume Wigs, Hats, Masks, Costumes, Prop Weapons, Costume Accessories and much more. Customers are amazed by our great selection and attractive pricing. We treat each order as if you were shopping in our brick and mortar store. We understand the importance of personal service and aim to please each new and returning customer. Mallatts offers Makeup from BEN NYE, MEHRON, KRYOLAN, and GRAFTOBIAN. The Department of Theatre and Drama is a collaborative community of artists and scholars - faculty staff and students, aiming to achieve the highest level of excellence in their teaching, learning, research, creative endeavors and outreach to the community and state.